Everybody raves about Aunt Gaye’s Eggplant Caponata. It’s another great recipe for eggplant which includes lots of garden fresh vegetables. These are all chopped up and baked in a simple red wine vinegar and olive oil marinade. The flavors meld together in just the right blend. It’s difficult to stop eating this appetizer. One of my favorite summer vegetables is eggplant. 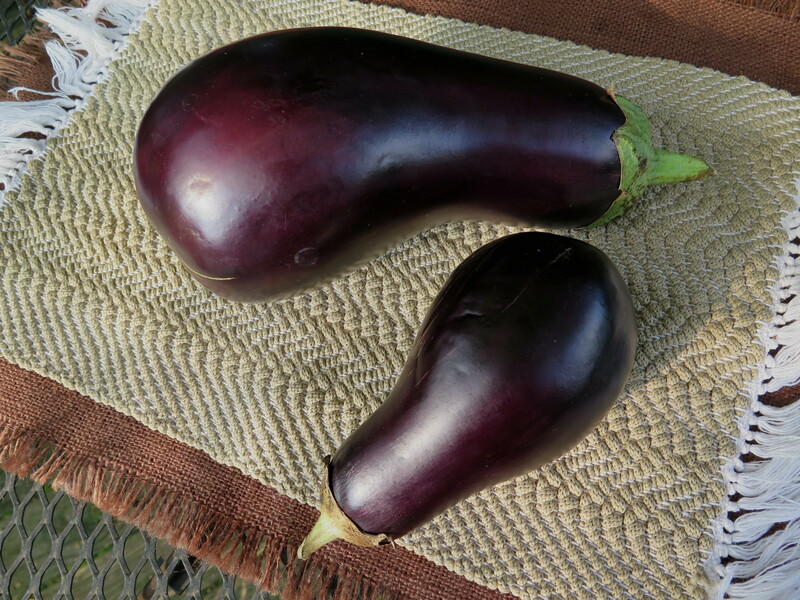 I was delighted open Week One’s CSA basket and find that it included these two beautiful eggplants. Eggplant can be prepared in so many ways, it’s hard to pick a favorite recipe. 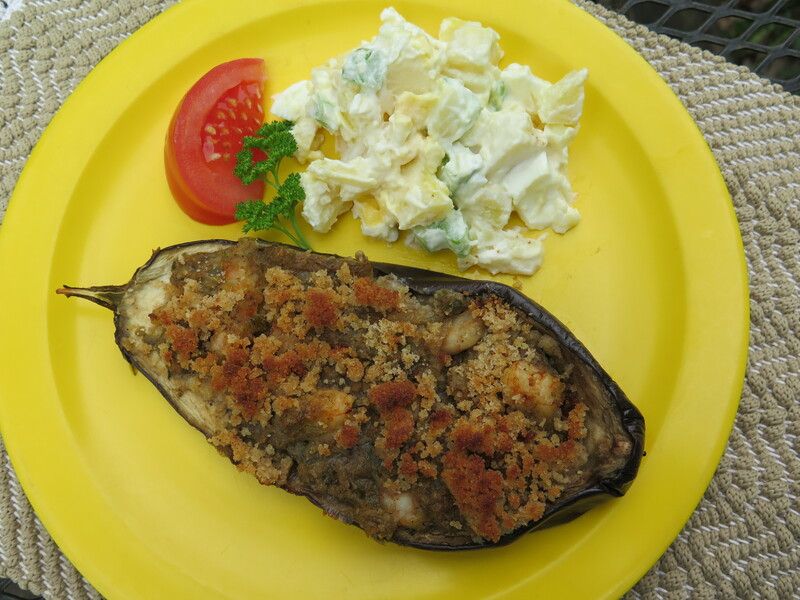 Here is one that I adapted to include this vegetable: Cajun Rice Dressing with Eggplant. I made it for our family–my husband and I ate the entire dish in one meal.